The study, contracted by project developer Eolus Wind, erroneously downplays the potential impact on golden eagles. However, the data presented shows that golden eagles use the proposed project site extensively. According to the preliminary study, nearly 118 golden eagle nests were identified within ten miles of the proposed project. During the surveys golden eagles were spotted flying above the proposed project site 36 times. The data clearly establishes that golden eagles frequently use the area for forage, and fly at heights that would put them in direct harm of impact with any wind turbines installed on the site. Page 21 of the report above depicts the paths of golden eagles detected over the proposed project site during surveys. 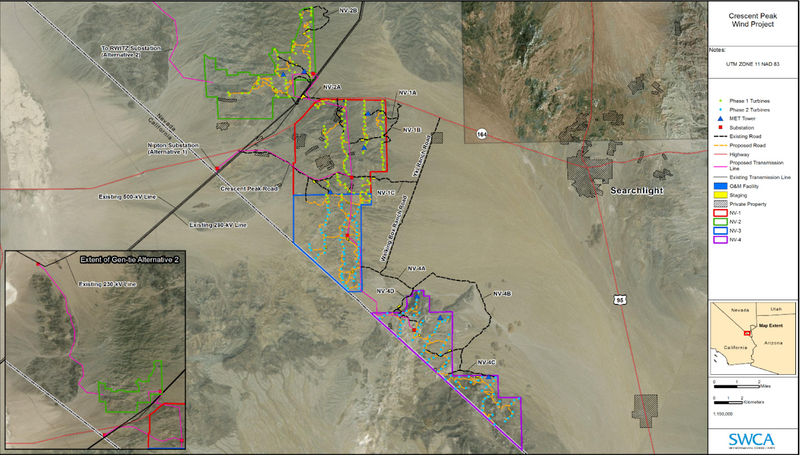 Yellow and orange lines are golden eagle flight paths, and the Xs mark locations of proposed wind turbines. 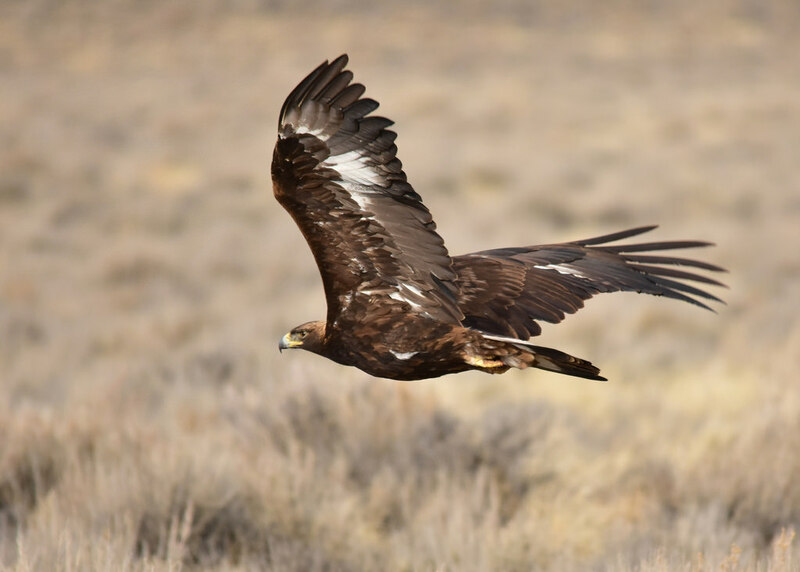 The birds are protected under the Bald and Golden Eagle Protection Act, although wind developers have been given a pass to kill these majestic birds. The Crescent Peak area has been identified as hosting an above-average concentration of golden eagle nests based on separate Nevada Department of Wildlife survey. However, the Department of Interior has pressed full steam ahead on a process to approve the wind developer's plans to cover nearly 50 square miles of public lands with giant wind turbines and wide access roads despite posing a clear threat to the golden eagles here. 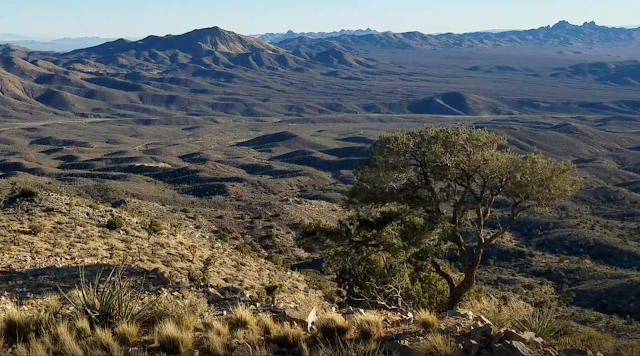 Wildlife experts also fear that the Crescent Peak Wind project will negatively affect the forage and movement of mule deer and desert bighorn sheep. According to the recently released study, mule deer were detected on the site, and the BLM has identified portions of the project site as crucial desert bighorn sheep habitat. Desert bighorn are iconic denizens of the Mojave and mule deer are a big draw for hunters in this corner of Nevada and neighboring California. 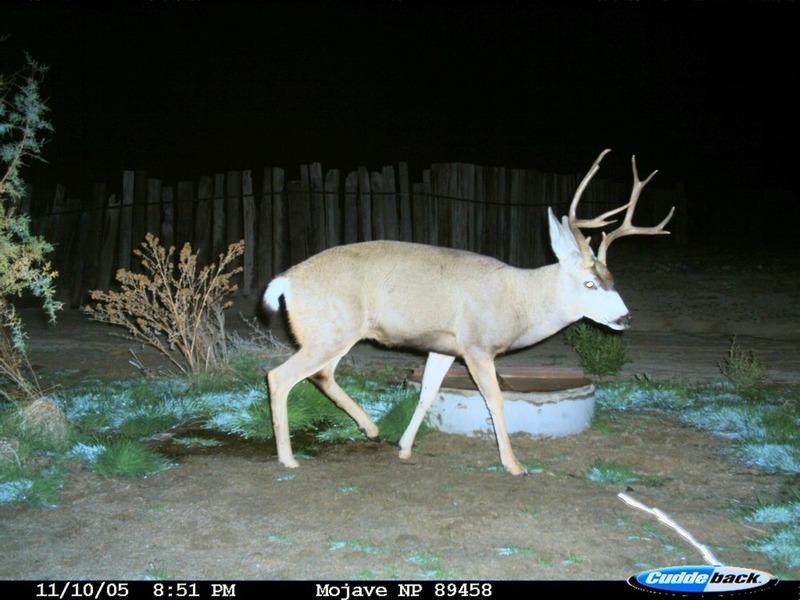 A game camera image of a mule deer in the Mojave National Preserve, which neighbors the proposed Crescent Peak Wind project site. Photo by NPS. Noisy and tall wind turbines are likely to spook mule deer and bighorn sheep, potentially impeding movement of the animals between the New York Mountains and the McCullough Range. The project could involve up to 220 wind turbines each towering over 400 feet high. 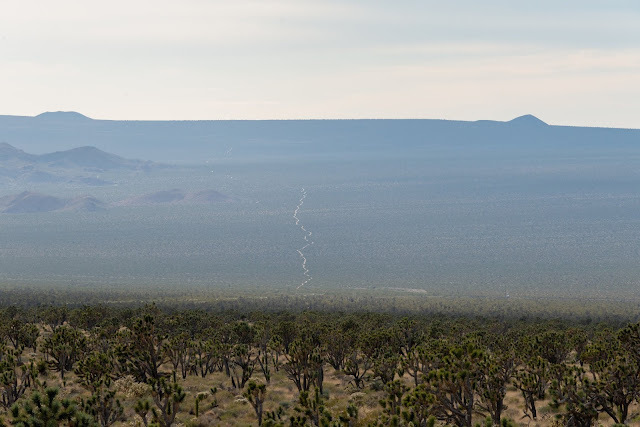 And the developer would need to carve nearly 93 miles of wide access roads into the Joshua tree woodland, big enough for large trucks to haul massive turbine components to each turbine location. According to multiple studies, mule deer and other large herbivores react poorly to energy development in their habitat. Mule deer have been known avoid habitat overtaken by natural gas well pads and other human disturbance (sources: 1, 2, 3, 4), and a European study found that roe deer specifically avoided towering wind turbines (1). Hunters and other outdoor enthusiasts can expect that the Crescent Peak Wind project will negatively impact mule deer and desert bighorn sheep populations in this region spanning the California and Nevada border. 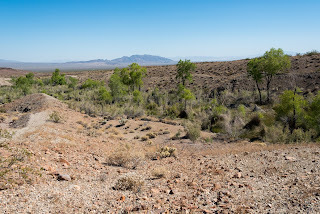 Not only will wildlife lose habitat, but outdoor enthusiasts lose access to what is presently a beautiful corner of the Mojave Desert that offers spectacular opportunities for primitive and unconfined recreation. 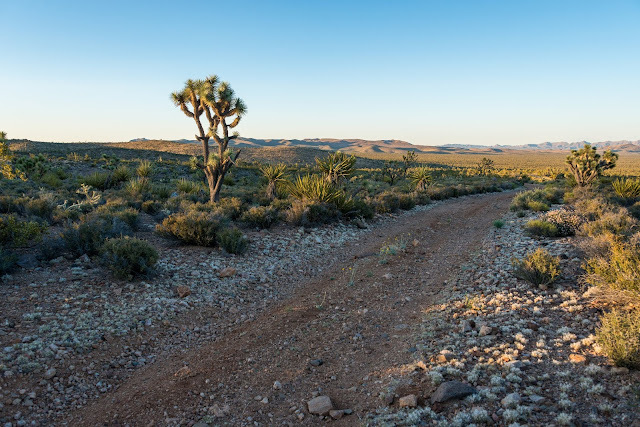 As the Mojave National Preserve Conservancy points out, the project would industrialize a vast swath of what is one of the largest Joshua tree woodlands in the world. There is simply no need to sacrifice these wildlands for wind energy when we can generate clean energy through solar on rooftops and over parking lots.